Now this changes everything. 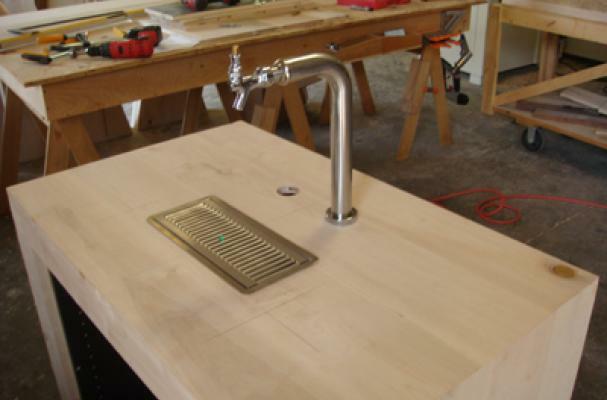 A Seattle restaurant has installed the Table Tap system, allowing customers to pour their own beers from their table. Buckley's, located in the Belltown neighborhood, is the name of the restaurant that lets customers self-serve themselves beer. How does the system work? The law allows each customer to pour themselves 32 ounces. When you reach that amount of beer, the tap shuts off. A server returns and can allow customers to continuing pouring beer if their condition permits it. Best of all, the system only charges you for what you consume. Beer costs $.28 an ounce. Owner Tim Buckley said customers are currently enjoying the novelty of the system. "Everybody loves to pour a beer," he told KIRO-TV. "Everybody wants to be a bartender."